Previous PostGoodreads Reviews: Do They Matter? Of Course They Do!Next PostPromoting Your New Book? Have You Tried Libraries? The bear stories are inbearally interesting. Keep them coming. Will do! Lots more coming! Great stuff D.C. I’m up in the Adirondacks right now believe it or not. I haven’t seen a bear yet but I’ll keep my eyes peeled. Thanks! What a coincidence! I am currently at Raquette Lake. I don’t know about Raquette Lake but we’re in Cooperstown today. We had an amazing day at the Hall of Fame! We really enjoyed the town and the Otesaga Hotel. Great stuff. Have fun out there! Thanks! I did this too. 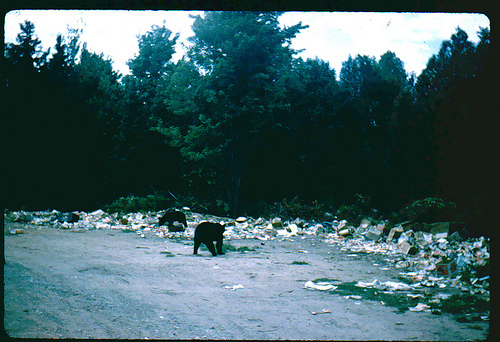 For us summer campers, the dump was often “date night” in the Adirondacks. Certainly better than going to the zoo, though I still recall the smells. Well then, you are another member of a pretty exclusive club! It is nice to meet another “Adirondack Friday Night At The Dump” member on here. Thank you for sharing.